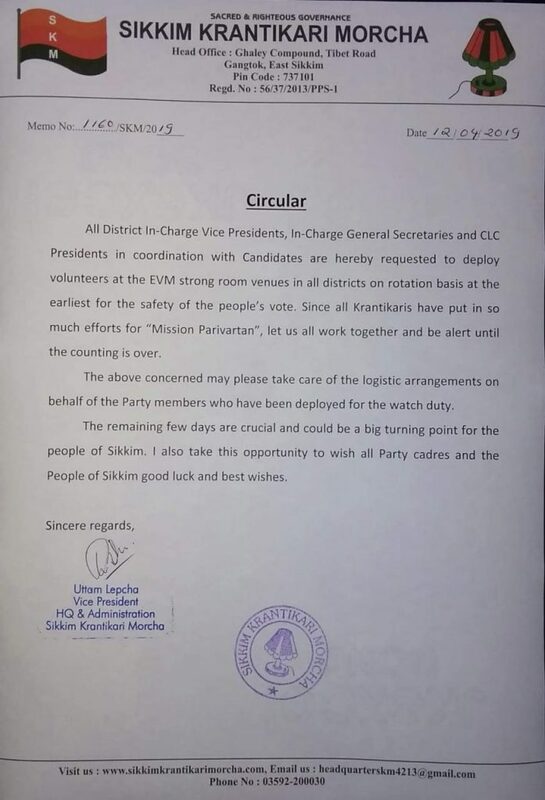 A day after Sikkim went to parliamentary and Assembly polls in the first phase, the Sikkim Krantikari Morcha (SKM) has issued a circular directing all its district in-charge vice-presidents, general secretaries and CLC presidents to deploy volunteers at the EVM strong room venues. 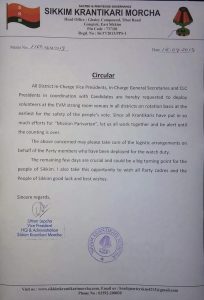 In the circular, issued by Uttam Lepcha, state vice president (HQ and administration) of the Sikkim Krantikari Morcha, the party has asked the district top leaders of the SKM to make the deployment in coordination with the respective party candidates in different districts. 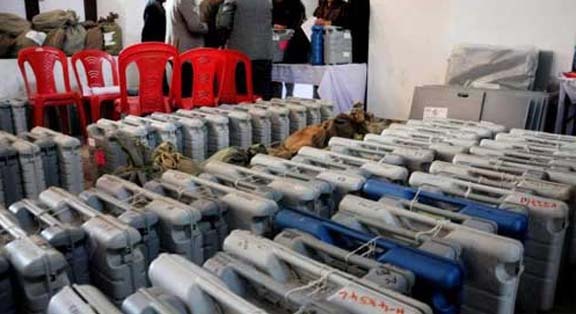 According to the circular, district party members will voluntarily guard the EVM strong room venues on rotation basis for the safety of the votes polled across the state in first phase on April 11. The SKM party has fielded candidates in all the 32 state Assembly seats and the lone Lok Sabha seat in Sikkim. Stating that the party worked hard in mission mode which it has called ‘Mission Parivartan’, the party vice-president through the circular has urged its district leaders to work together and stay alert until the counting of the votes is over. The counting of votes for the Assembly elections will be held simultaneously with that of the parliamentary elections on May 23, and the poll results will be declared on the same day.